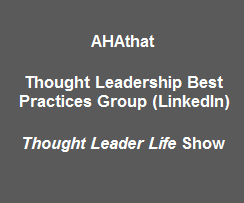 Thought Leader Services: Content: Content Writing & Blog Management | THiNKaha: Become a recognized expert in your field of expertise. Compelling thought leadership content. Want an SEO-optimized article written about your product and/or service? Want to post more on your blog but just don’t have the time? Consider these services with us. One article (500-1000 words) written on any topic of your choice. Provide us with a tentative title, brief description, and any other information you would like to include (e.g., hyperlinks to your website, blog, company, etc.). For best results, please also provide us with any additional information that would help in researching the article’s topic. Four articles per month (500-1000 words), on any topic of your choice, for you to post on your blog. Provide us with a tentative title, brief description, and any other information you would like to include (e.g., hyperlinks to your website, blog, company, etc.). For best results, please also provide us with any additional information or special instructions that would help in researching each post’s topic, and provide us with as much information as you can one week before you would like to post it on your blog. 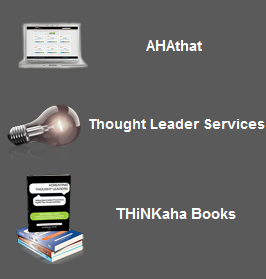 E-mail contentcreation@thinkaha.com if you are interested and we will send you further information/instructions! *For an extra fee, we will put your article at the top of the priority list and deliver it in 3-5 business days.